A line of portable mixer lift stands designed for use with tote bins, the metal and plastic 200 to 400 gal. 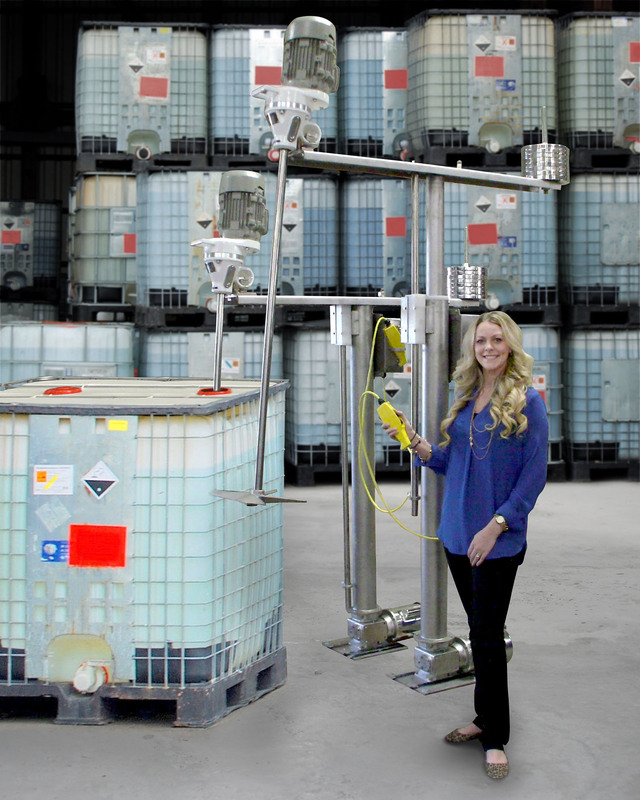 cubic tanks for transporting and storing chemicals is being introduced by Sharpe Mixers, Inc. of Seattle, Washington. Sharpe Portable Mixer Stands are fully mobile and allow operators to raise and lower mixers in and out of 200 to 400 gal. tote bins without manual lifting. Featuring a horizontal arm which clears the bin top and reaches inside, the stands come in two versions: ELS Series electric, powered by a 115 VAC motor with a worm gear drive, and the ALS Series pneumatic version. Offered in three sizes providing 46” to 140” height adjustability, Sharpe Portable Mixer Stands include NEMA 4 controls and can be constructed with stainless steel and mild steel; with counterweights on the arm included to facilitate smooth operation. For optimum process flexibility, collapsible impellers are available to allow the use of impellers larger than 6” dia. Sharpe Portable Mixer Stands for tote bins are priced from $3,995.00 to $11,995.00, depending upon configuration; with 4 to 8 weeks delivery.